A new theatre project from either Ivo Van Hove or Enda Walsh is exciting, and a collaboration between the pair is genuinely compelling. But add David Bowie into the mix and you’ve got an instant theatrical event. That’s the team working on the world premiere of the new theatre piece (it’s not referred to as either a play or musical in press materials) entitled Lazarus for a winter 2015 debut at Off-Broadway’s New York Theatre Workshop. 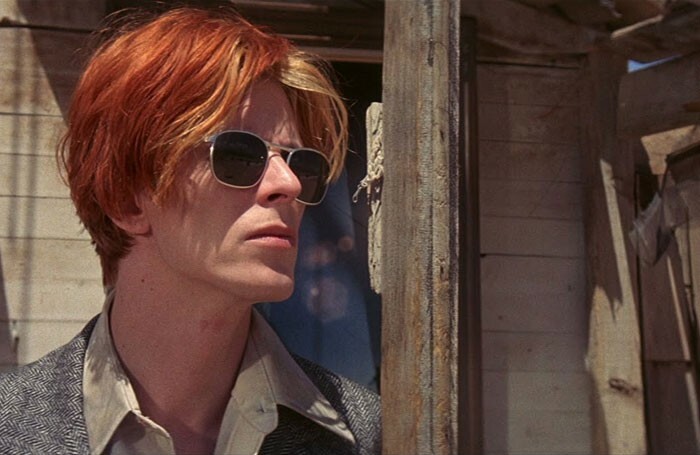 The show is “inspired” by The Man Who Fell To Earth, the 1963 novel by Walter Tevis which became a Nicolas Roeg film starring Bowie in 1976 (pictured, top). The novel and film told the story of an alien who comes to earth seeking water for his parched and dying world but is distracted from his mission by his interactions with humans. It seems an apt subject in these days of perilous climate change on our planet. Walsh previously worked at NYTW on the musical Once, and Van Hove has directed numerous productions for the company, most recently Scenes from a Marriage. As for Bowie’s history with theatre, he appeared on Broadway in the title role of original production of The Elephant Man. Oh, and he sat right behind me during the original Off-Broadway production of Spring Awakening. 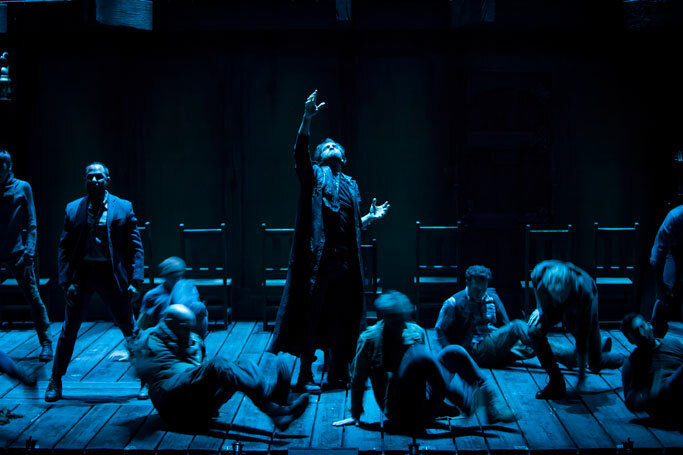 It will be interesting to see what this might mean for a New York transfer of Van Hove’s acclaimed A View from the Bridge, which has been rumoured for a New York run next season as well. 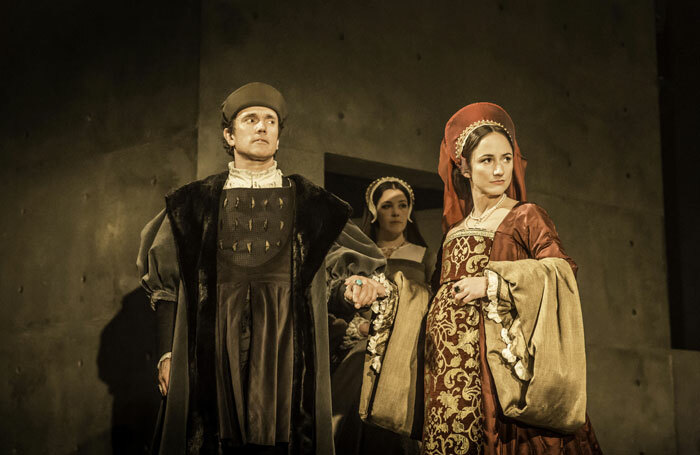 The Wolf Hall onslaught begins in earnest this coming week, as the BBC’s television adaptation starts airing on Easter night, followed by the Broadway opening of the Royal Shakespeare Company’s stage adaptation on Thursday. This practically puts Mark Rylance and Damian Lewis head to head with Ben Miles and Nathaniel Parker in the cultural equivalent of a sports match-up, which also has both fans of the book and newcomers to the story (like me) wondering which version to see first, and whether to space it out over six Sunday nights on TV or take it in all in a single day, as I will, at Broadway’s Winter Garden. No matter how you slice it, it’s an abundance of riches (and schemes) that has already provoked a wealth of joint stories in the media. But since we’re getting it all after you did…ssssh, no spoilers. Good Friday certainly seems the right time to open a Biblically-themed show, but I’m willing to bet that The 12, opening on April 3 at the Denver Center Theatre Company, isn’t a holiday pageant. 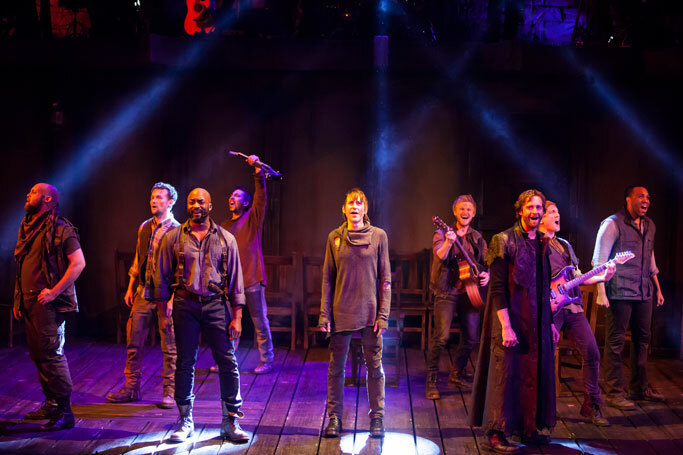 This new musical, following the story of the apostles, The Virgin Mary and Mary Magdalene after the loss of Jesus is a new musical with music and lyrics by Neil Berg and book and lyrics by Robert Schenkkan. The latter is the Pulitzer Prize and Tony Award winning author of All The Way, about US President Lyndon B Johnson’s push for the enactment of the Civil Rights Act 50 years ago, as well as its companion piece, The Great Society, about the latter part of Johnson’s presidency. Although the material in The 12 doesn’t seem to overlap with that of another rock musical set in the same era, I think it was wise of Schenkkan and Berg not to fall prey to the promotional urge to call their new show Superstar II. 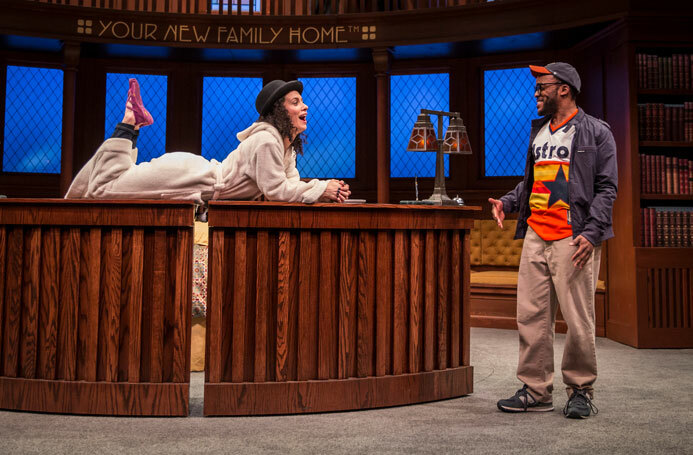 The Upstairs Concierge, a comedy “spoofing today’s celebrity culture” is the newest play by Kristoffer Diaz, the author of the popular The Elaborate Entrance of Chad Deity. Set in a trendy hotel, it focuses on Ella, a new concierge, working valiantly to keep track of the many bold-faced names whose whims and wants she must try to cater to and keep under control. 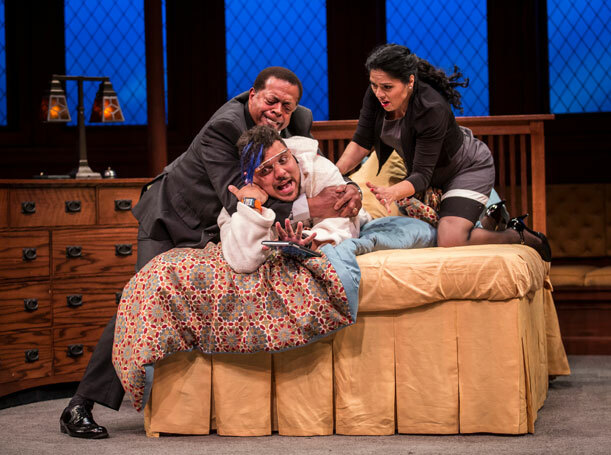 KJ Sanchez directs the farce, which opens on April 4 and plays through April 26. 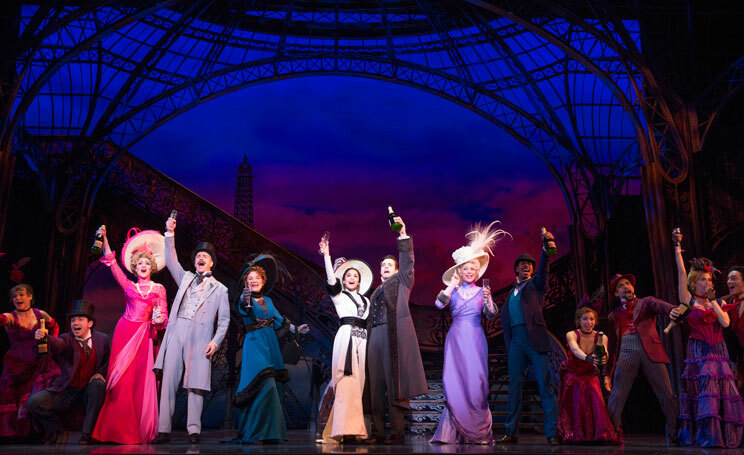 For anyone worried about how Colette’s Gigi might play today, it’s clear that the creators of the new Broadway musical version want to allay your fears. 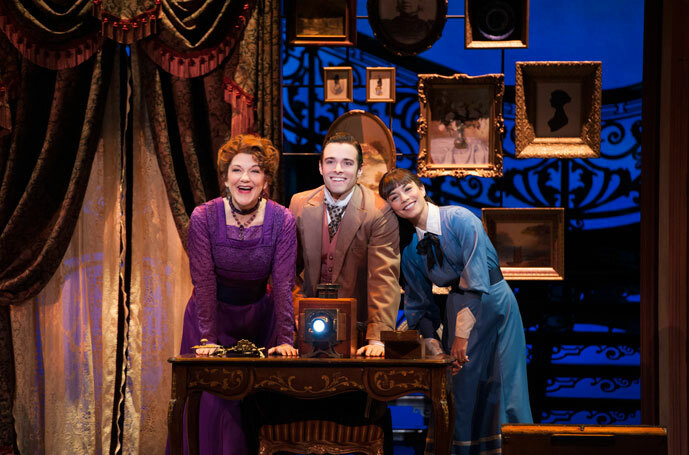 For example, the Lerner and Loewe musical tribute to the charms of very young women, Thank Heaven for Little Girls, has been taken away from an older male character and given to two relatives of the title character, and director Eric Schaeffer told The New York Times, “We had to get the perv factor out of it – that was the mission from day one.” Heidi Thomas (Call the Midwife) has reworked the story for a more modern sensibility (though it remains a period piece), following in the footsteps of the original film and a failed 1973 stage version. The cast includes Broadway vets like Victoria Clark, Dee Hoty and Howard McGillin, alongside one-time High School Musical teen sensation Vanessa Hudgens. 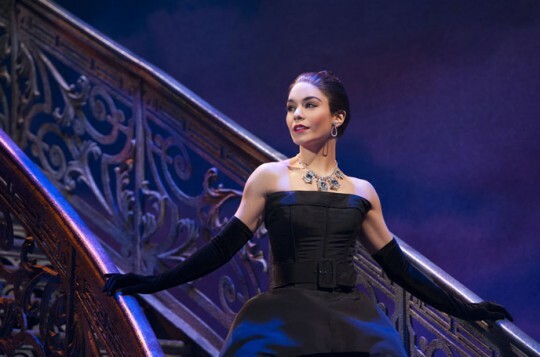 Gigi opens next week. 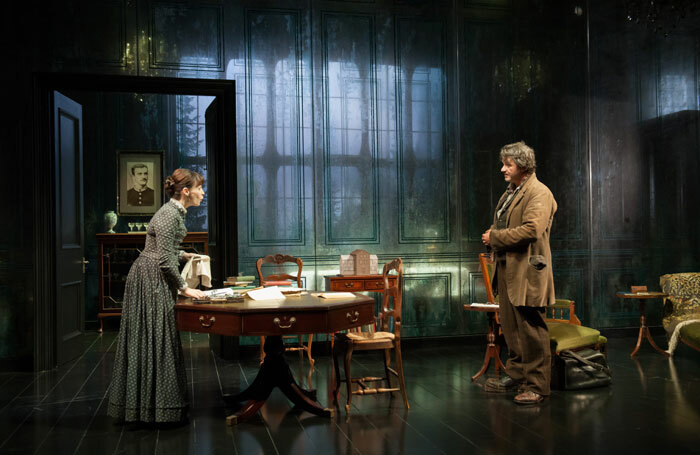 It’s bleak but brilliant so far this year at the Brooklyn Academy of Music’s Harvey Theatre, which is following its engagement of the Goodman Theatre’s The Iceman Cometh with the Almeida Theatre’s acclaimed production of Ibsen’s Ghosts, directed by Richard Eyre. Lesley Manville once again heads the cast for the New York run, which begins Monday and continues to May 3. 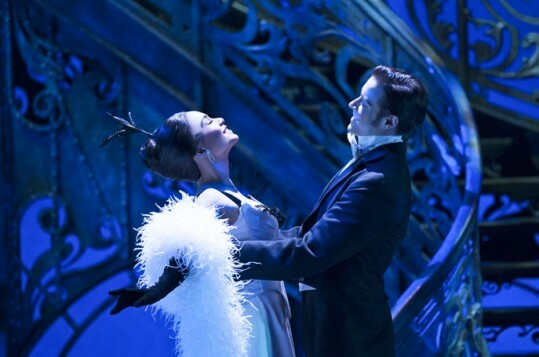 One key difference between the two classic shows: Iceman clocked in at almost five hours, while Eyre’s adaptation of Ibsen is a trim 90 minutes. Harold Prince, the legendary producer (West Side Story, Fiddler on the Roof) and director (Phantom of the Opera, Company, Cabaret) has a new production slated for 2016 at Off-Broadway’s Atlantic Theatre Company, at which point he will be 88 years old. The Band’s Visit, with a book by Itamar Moses and music and lyrics by David Yazbek, is based on a 2007 Israeli film about an Egyptian musical group that mistakenly travels to a town in the Negev desert. For those with any concerns about Prince’s advanced years, it’s worth noting that his mentor, the equally legendary George Abbott, directed his final Broadway show at age 90 – and lived to 107. Hal’s just trying to keep up with his old boss. This week saw a court ruling that may well end a protracted legal process that has kept David Adjmi’s play 3C from production or publication since its premiere at New York’s Rattlestick Theatre in the summer of 2012. 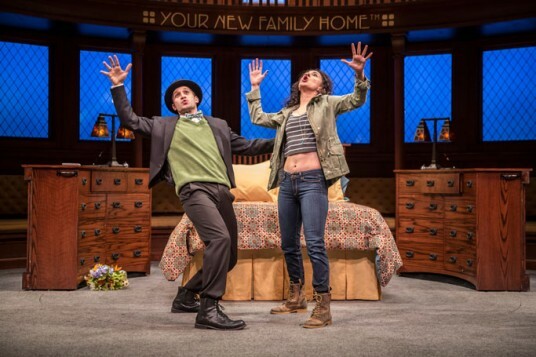 The play, a dark parody of the 1970s sitcom Three’s Company (itself adapted from the British series Man About The House) provoked DLT Entertainment, which holds the rights to the show, to claim copyright infringement. 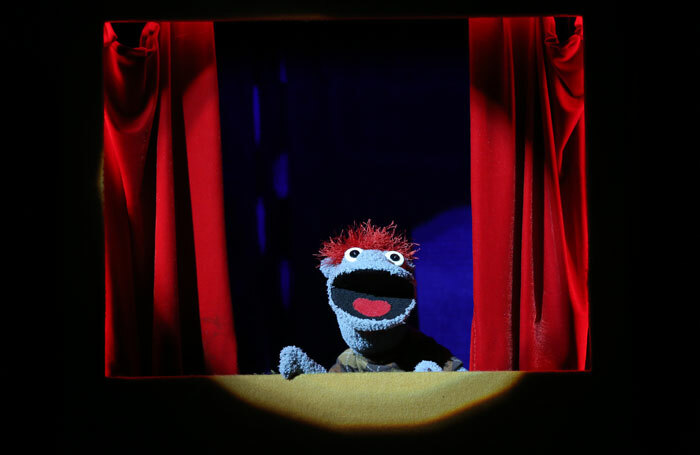 Nearly three years later, the court decision states that as a parody, 3C falls under the fair use provision of copyright law, and specifically notes, “The play is a highly transformative parody of the television series that, although it appropriates a substantial amount of Three’s Company, is a drastic departure from the original that poses little risk to the market for the original.” DLT Entertainment has 30 days in which to appeal the judge’s decision, but authors’ right advocates (including me) hope that flat 3C is available for let again, once and for all. Political pundits may parse the meaning behind the fact that George W Bush had his own Broadway show – You’re Welcome America, written by and starring Will Ferrell – barely a year after leaving office, while It has taken his predecessor Bill Clinton more than a decade to reach Off-Broadway. But it should be noted that Bill gets musicalised in Clinton the Musical. 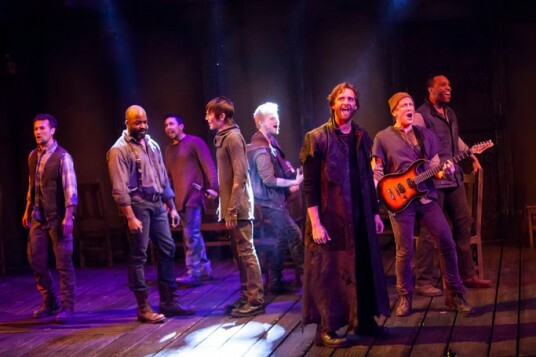 Oh, and he gets played by not one but two actors, allowing him to duet with himself, I assume. Clinton the Musical emerged from the Edinburgh Festival in 2012 to play at London’s King’s Head in 2013, crossing to the US for the 2014 New York Musical Theatre Festival. 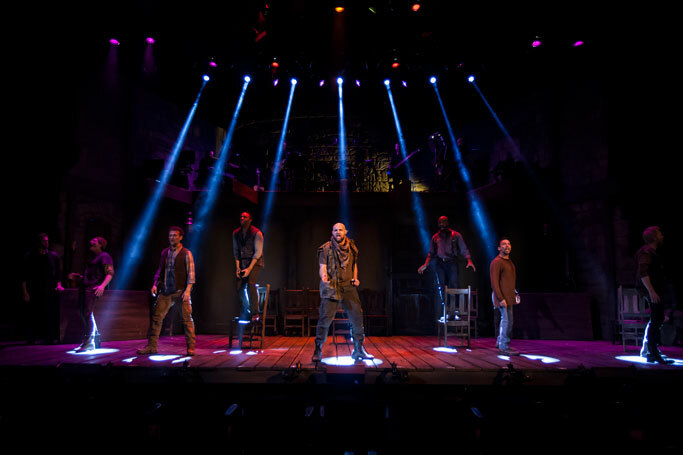 It’s the brainchild of Australian brothers Paul and Michael Hodge, who wrote the show’s book, music and lyrics. 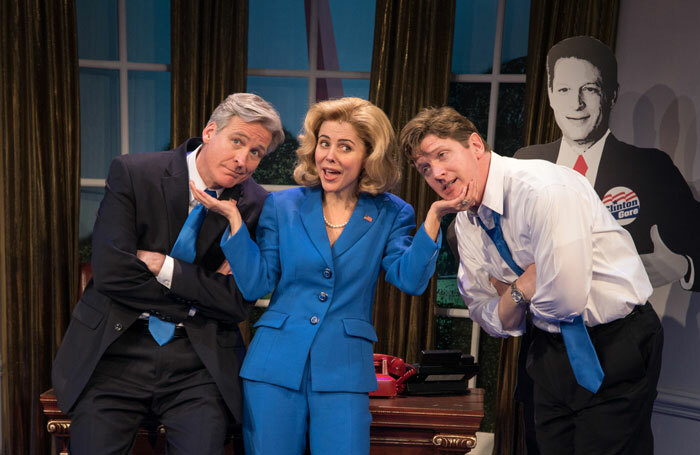 Kerry Butler tops the cast as Hillary Clinton, whose emergence as a front runner for the 2016 presidential race may have changed the show’s dynamics over the past several years. And the obvious question remains: if Bush got a play and Clinton got a musical, will the Obama show be immersive or site specific? 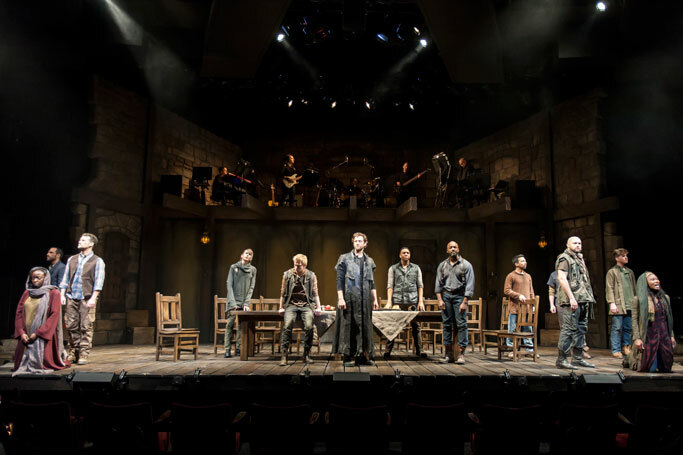 Dear West End Producer: What is a 'good mover'?